One of the perks of living in Salt Lake City is the accessibility of amazing places to hike and explore nature. Typically, I enjoy hiking on steeper trails that overlook the Salt Lake Valley and that offer changes of scenery. The following is a list of my favorite hikes along with some pictures I’ve taken over the years. The peak of Mt. Timpanogos stands at an elevation of 11,749 feet. From the Timpooneke Trailhead, it is a 14.5 mile hike with a 4,409 feet elevation gain. The first time I did this hike was when I was in college; we started up near midnight and got to see the sunrise at the peak. 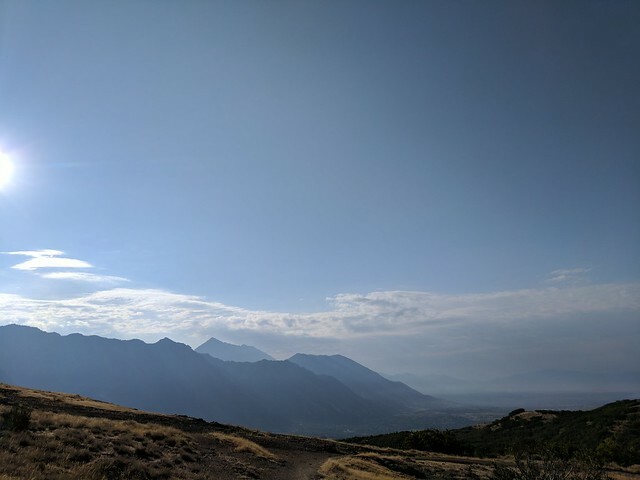 My favorite part of this hike is the Timpanogos Basin, a flat stretch of the trail that blooms with wild flowers in the summer. The highest point in Antelope Island is Frary Peak, at an elevation of 6,594 feet. From Frary Peak Trail Rd., it is a 6.9 mile hike with a 2,335 feet elevation gain. 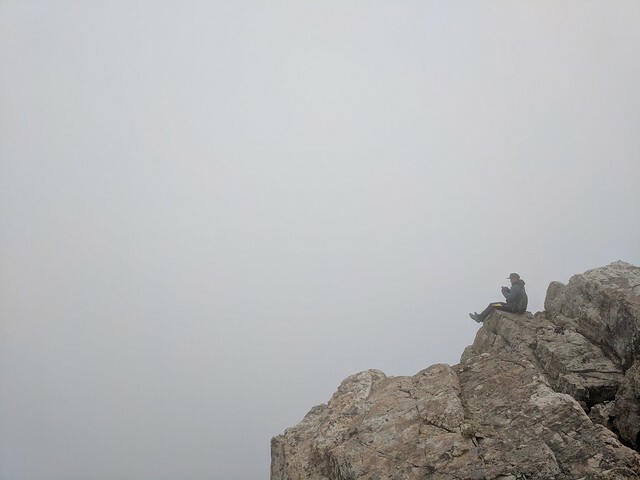 I did this hike in the fall of 2017 for the first time on a cloudy day and loved hiking above the clouds. My favorite part of the hike itself was getting off the trail to boulder down the peak. Little Black Mountain is maybe a false peak that stands at an elevation of 8,040 feet on the way to Black Mountain, north of Salt Lake City. From the Terrace Hills Trailhead, I followed the trail to Twin Peaks behind the Avenues and then found the trail north of Twin Peaks. I got to Little Black Mountain because I got lost with my friend and her dog after we hiked to Twin Peaks. It was an awesome adventure. Luckily, I had brought a watermelon with me that we then shared. Lake Mary sits at an altitude of 9,543 feet. 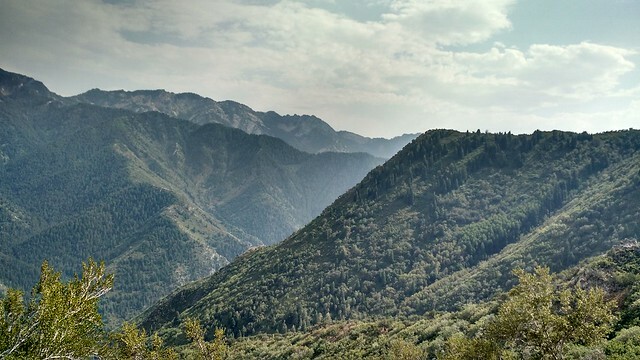 From the trailhead in Brighton, Utah, it is a 2 mile hike with an elevation gain of 620 feet. It is a very accesible hike with beautiful flowers in the summer. The trail forks to Dog Lake and continues to Lake Martha and Lake Catherine. The peak of Mt. Wire stands at an elevation of 7,143 feet. From the trailhead to the Living Room by the Natural History Museum of Utah, the hike is 4.7 miles long with a 2,089 foot elevation gain. The trail to the Living Room is very busy but the fork to Mt. Wire is somewhat hidden to the east of the Living Room at a curve of the trail. My favorite part of this trail is the tower at the peak. 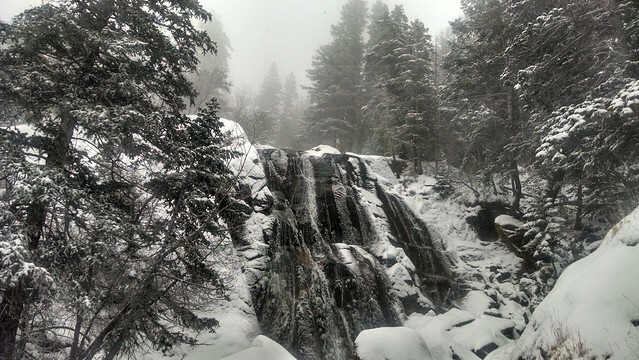 The Lower Falls in Bells Canyon sits at an altitude of 6,681 feet. From the Bells Canyon Boulders Trailhead, it is a 4.7 mile hike with a 1443 foot elevation gain. This trail and I have an intimate history. The lake near the beginning of the hike is an amazing place to take people who are beginning in the outdoors any time of year. 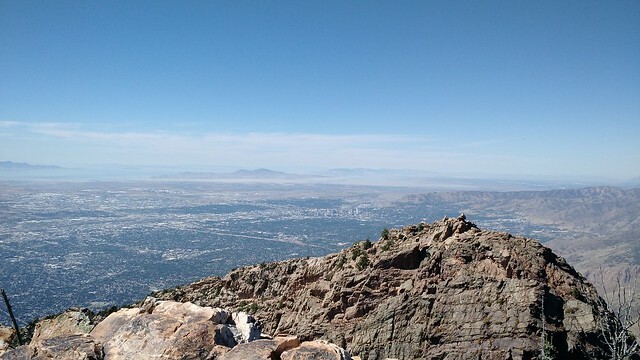 Grandeur Peak towers at 8,270 feet. From the trailhead on the west side of the mountain, it is a 4.8 mile hike with a 2,975 foot elevation gain. This was my favorite hike for a long time. It’s challenging but it has beautiful views of the Salt Lake Valley. I love the option of going up the west side and coming down the east side then taking the Pipeline Trail and getting picked up at Rattlesnake Gulch. Lone Peak stands at an elevation of 11,209 feet. From the Jacob’s Ladder trailhead, it is an 11.5 mile hike with a 5,577 foot elevation gain. It took me two tries before I was able to summit it. Both times I grossly underestimated how much of me it would take to finish it but the first time I was not prepared with enough water. The second time, by the time I finished the hike I had cried at least twice and it had taken me about 12 hours. My favorite memory of the experience is watching my pregnant hiking buddy descend the peak with all the grace in the world, then watching the sunset in the canyon. Mount Olympus is my all time favorite hike. It stands at height of 9,026 feet on the east side of the Salt Lake Valley. From the Mt. Olympus Trailhead, it is a 7.5 mile hike with a 3,910 foot elevation gain. The hike offers beautiful views, changing flora and an amazing scramble at the top. I try to do this hike at least once a year and have only good memories of it.